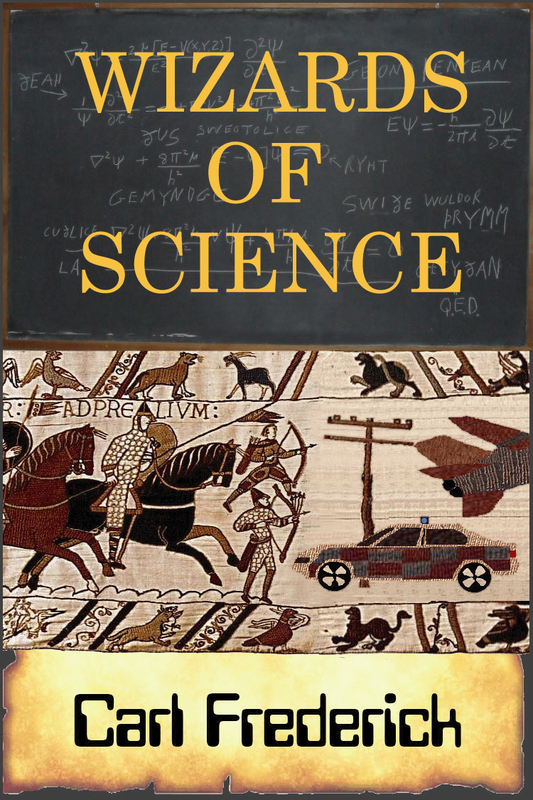 In the novel (hard SF despite its title), Paul, an American college physics major studying in England, and his friend Vicki, an English British history major, become caught up in a physics experiment gone spectacularly wrong. The island of England gets swapped into an alternate time line and is replaced with the England of the eleventh century. Action takes place in both an eleventh century England in a twenty first century world, and also in a twenty-first century England in an eleventh century world. Only Paul and Vicki, with the help of Wulf, a scientist from the twenty-second century, can set things right. 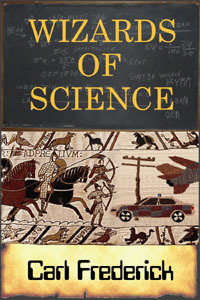 The novel's title alludes to Wulf and his descendents, trapped in Anglo-Saxon Britain. Their advanced science and technology seems to be magic and they are thought to be wizards. Although not not specifically written as such, the novel might be considered YA as four of the five major characters are under twenty years old, two of them well under. A modified extract of an early part of the novel appeared as a novella in Analog Magazine under the title ' Greenwich Nasty Time'. The success of my two tier pricing policy ($4 or Free) for my anthology 'SF++ Science Fiction Stories for Linux Geeeks' has led me to employ it here as well. While I would be delighted were you to buy the book from Amazon, you may also get it at no cost by simply requesting a copy. Email for your free copy: Kindle (MOBI). I'll e-mail the book to you within a few days. In the unlikely event that I'm flooded with requests, it might take a little longer.